While many of the apps we see relating to business cards are involved with their sorting, there’s a whole new way to use your smartphone or tablet with business cards. Vizibility brings out a whole new line of business cards with a little something extra: NFC capability. Normally NFC relates to payment plans. Normally when smartphones come in contact with business cards, it’s to sort them out. And Vizibility manages to turn both concepts on its head by providing a small shot of QR–Quick Response–code on business cards to allow for extra information to be provided for users. QR code, for those of you not already familiar with it, allows for information like numbers, words, or similar data to be encoded in a small square matrix that can be read by scanners and the like. 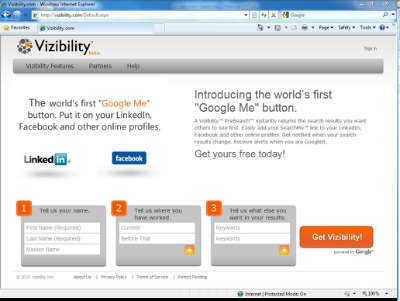 Vizibility, meanwhile, has taken the QR code concept and run with it. While a business card has never exactly been a venue to put forward a lot of information, or be particularly memorable, the addition of a QR code provides the extra edge. 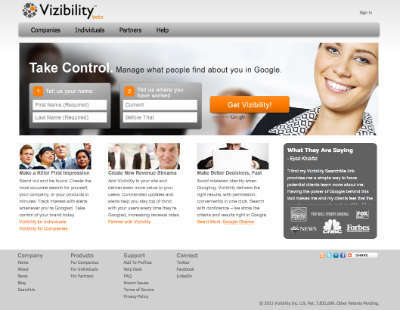 Vizibility’s code offers plenty of extras, like video bios, Google results, profiles, and more. They’ve even added a note of future-proofing, not just putting in a QR matrix but also some NFR–Near Field Resolution–capabilities into the cards themselves. This provides a variety of new potential options for your small business. You’ll be able to coordinate your handing out of business cards with a variety of multimedia offerings, including specific presentations tied to the business cards themselves. This adds a lot of opportunity to perform enhanced marketing measures, and lets you make the full advantage of business travel to events like trade shows and conventions. And as is generally the case with any program designed to bring in more customers with better marketing, it will bear considering to add a set of cloud-based telephony features to help funnel customers into the best contact for them, including features like auto attendants and toll-free numbers to reduce hold times and make them less painful. So while Vizibility’s new technology will likely put a little extra punch into your marketing efforts, it will be the way you use it that will count most. Not to mention, of course, how you follow up on it. This entry was posted in Marketing, Small Business, Virtual Office by Steve. Bookmark the permalink.